Easter is my favourite annual festival. The longer, brighter days have arrived, the spring bulbs are in full bloom, and we have the promise of summer and sun ahead – even if they later fail to appear. Easter is all about hope. It also allows me to indulge in some of my favourite wines. As lamb is one of the most wine-friendly meats of all, this is the time to show off your finest red wines. Tradition would dictate a Bordeaux or Rioja Reserva, but just about any red wine will taste better alongside roast lamb of some kind. However, it is worth trying to match your wine to the kind of lamb you will be serving. There are few nicer ways to celebrate the arrival of spring than a roast of delicate, pink new season lamb with lots of herbs, served with new potatoes and fresh seasonal vegetables. Easter is late this year, so we may be able to find some asparagus and early salads. Here I would go for a Rioja, but a Crianza or an unoaked Joven in preference to a Reserva or Gran Reserva, or possibly a Cru Beaujolais. I suspect many of us will be tucking in to a leg of lamb, medium rare, studded with garlic and rosemary. With this, a good Bordeaux, such as the two below, would be ideal, or a Rioja Reserva or Gran Reserva. A good Cabernet from California or Australia would also fit the bill nicely. 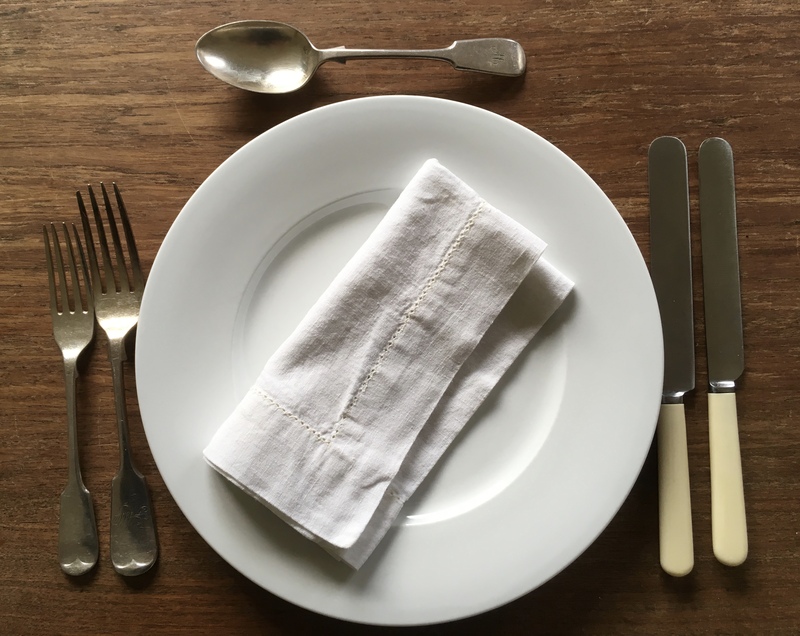 Lovers of Italian wine should had straight to Chianti Classico – the Isole e Olena, Fontodi or Monteraponi (€30 to €33 from independents), all tasted recently, would make the meal special. I am not a fan of cheap Chianti, though; I would much prefer the Sangiovese below, a much better bet if you’re looking for something less expensive. You could go for any of the above options, but a lighter, fruitier wine, such a New World Pinot Noir, possibly from New Zealand, or Mencía from northern Spain, would be excellent. Careful with the mint sauce, though: the combination of sweetness and acidity, especially vinegar, doesn’t do wine any favours. At least make sure you take a mouthful of meat between sauce and wine. These days we are all familiar with spicier, Mediterranean-style lamb. If you have a vegetarian or vegan to please, serve your lamb with a Lebanese fattoush salad or go Moroccan, with spicy lamb served with roast peppers, aubergines and harissa-spiked hummus. This calls for bigger, spicier reds; think of a Languedoc, a southern Rhône or an Aussie Shiraz. A very enjoyable light, elegant Bordeaux with refined, cool plum fruits and well-integrated light tannins on the finish. Great value for money. Whelehans Wines, in Loughlinstown in Dublin, has the superior 2015 vintage of the same wine for €14.50. A very happy wine brimming with delicious juicy dark cherry fruits, and a little bit of grip on the finish to make it a perfect food wine. With lighter lamb dishes. From La Touche, Greystones, Co Wicklow, latouchewines4u.ie; Green Man Wines, Terenure, Dublin 6,greenmanwines.ie; the Little Green Grocer, Kilkenny,thelittlegreengrocer.ie; Kellys, Clontarf, Dublin, kellysofflicence.ie; Ardkeen Quality Foodstore, Waterford, Ardkeen.com. Your Easter egg? Concrete eggs are all the rage in wineries these days; this superb unoaked wine, with its fresh, deep, dark loganberry fruits, would go well with all sorts of roast lamb. From La Touche, Greystones, Co Wicklow, latouchewines4u.ie; Green Man Wines, Terenure, Dublin 6, greenmanwines.ie; Blackrock Cellar, Co Dublin, blackrockcellar.com; Clontarf Wines, Dublin, clontarfwines.ie. Classic Bordeaux with developing notes of tobacco leaf and black pepper, cool blackcurrant fruits, and a long dry finish. Perfect for that posh Easter celebration. Spanish Wine Week begins next Monday – spanishwineweek.ie has details of tastings, dinners and other events – but I am not sure that Spain needs any further help from us: its wines appear to be doing very well in Ireland. I went to a portfolio tasting of the leading Spanish wine importer recently, and as happens every year, I was introduced to a host of new grape varieties, mostly unique to Spain. Not all were brilliant, although most were, but there was an array of unique flavours. Spain covers all climates and styles of wine, from cool to baking hot, from the lightest, crisp, Muscadet-like freshness of a Txacolí from the Basque Country to the full-bodied Monastrells of Murcia and Valencia. Generally speaking, wines from the cooler Atlantic north tend to be white and light, and those from southern and central Spain red and warming. But vines grown at higher altitudes, or closer to the Mediterranean Sea, can produce very elegant wines, even in the deep south; the Los Aguilares Pinot Noir from Malaga (Celtic Whiskey Shop, €38) is a perfect example. Spain has plenty of other great indigenous grape varieties: Tempranillo, Garnacha, Monastrell and Mencia for the red wines, Albariño, Godello and Xarello for whites. Even Palomino Fino, once reserved for sherry, is now responsible for some excellent table wines. As well as new regions, more established names such as Rioja, Priorat and, best of all, Sherry continue to reinvent and improve themselves. As I wrote a few weeks ago, Spanish Tempranillo is one of the best value wines in the world, and inexpensive Garnacha is not far behind, But I would suggest increasing your budget a little and go for something from €15 to €25 (or even the €31 wine below). At this price, Spain offers a host of brilliant, unique wines that offer fantastic value for money. Spanish food has also been on something of a roll in recent years, largely thanks to a group of superstar chefs. Done simply, using the finest raw ingredients, it is one of the great cuisines of the world. My own dream Spanish feast would start with a glass of chilled fino sherry accompanied by a plate of the finest Iberico ham, some olives, and a few toasted almonds, followed by an Albariño or Godello from Galicia alongside a plate of simply dressed seafood; then a bowl of rice with chicken and vegetables, and a glass of red wine from Valencia. Then on to the main course, grilled lamb cutlets with a glass of the finest Rioja or a lighter red from Ribeira Sacra, either of which would also go nicely with the cheese course. A substantial wine with sleek, muscular, powerful dark fruits overlaid with a touch of new oak, and a savoury dry finish. Perfect with grilled steaks or a cocido – Spanish stew with beans, vegetables and various meats, that varies by region. A Verdejo like no other; rich exuberant exotic tropical fruits with a lovely citrus streak. Perfect with all sorts of spring salads. From Ely 64, Glasthule, Co Dublin, Ely64.com; Green Man Wines, Terenure, Dublin 6, greenmanwines.ie; Whelehan’s Wines, Loughlinstown, Co Dublin, whelehanswines.ie; La Touche, Greystones, Co Wicklow, latouchewines4u.ie; Clontarf Wines, Dublin 3, clontarfwines.ie; Jus de Vine, Portmarnock, Co Dublin, jusdevine.ie. A magnificent delicate wine with clean peach and apple fruits, subtle toasted nuts and a tangy saline dry finish. Choirs of angels sang. By itself or with toasted almonds and/or the best Iberico ham you can afford. From Jus de Vine, Portmarnock, Co Dublin, jusdevine.ie; Martin’s Off Licence, Clontarf, Dublin 3,martinsofflicence.ie; Ely 64, Glasthule, Co Dublin, Ely64.com; Green Man Wines, Terenure, Dublin 6, greenmanwines.ie; Loose Canon, Drury Street, Dublin 2, loosecanon.ie. 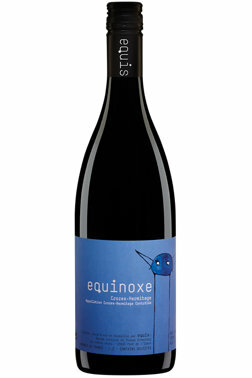 Made from a host of local grapes, mainly Mencia, this is wonderful wine. Fragrant and floral with refined refreshing cool dark cherry fruits, a nice grip and a lovely smooth finish. With charcuterie of any kind or belly of pork. From Ely 64, Glasthule, Co Dublin, Ely64.com; Green Man Wines, Terenure, Dublin 6, greenmanwines.ie; Loose Canon, Drury Street, Dublin 2, loosecanon.ie. €18.95 from Wines Direct, Mullingar & Arnott’s Dublin, or online from winesdirect.ie. Delicious fresh light Riesling; peaches and tropical fruits with a touch of honey, this is a lively, zingy crisp wine was the perfect aperitif last night. And at 8% you can have a decent glass (or two) without keeling over before dinner. First published in The Irish Times, Saturday 30th March, 2019. Malbec from Argentina is usually portrayed as the archetypal macho wine: big, powerful and masculine, and a little lacking in subtlety. It has certainly proved a hit with male wine drinkers in this country. Producers from other countries, Chile in particular, have noted jealously that many consumers are willing to pay a premium for such a bottle of Malbec. However, not every Malbec is the stereotypical oaky alcoholic monster. There were always exceptions, but in recent years there has been a definite move among producers to make more elegant Malbec wines. 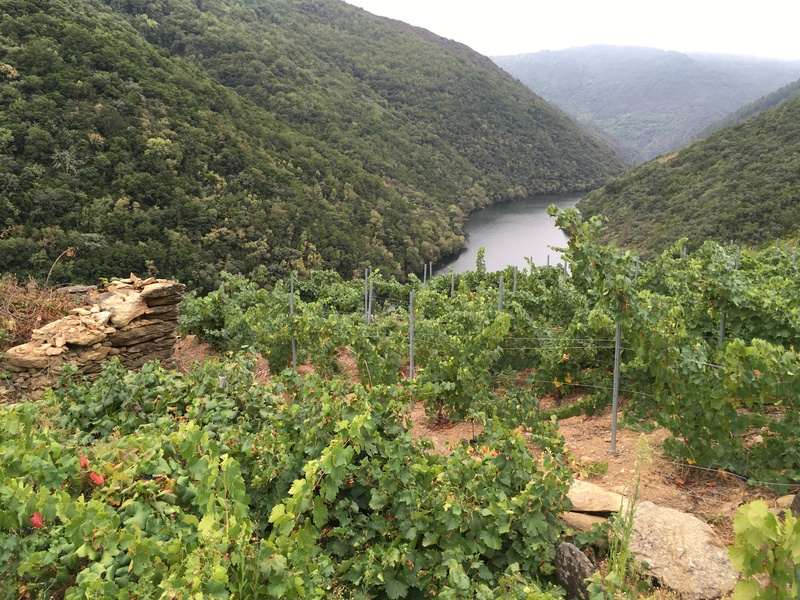 By picking earlier and planting vineyards at higher altitudes, they can offer wines that are less tannic, less extracted and less oaky, as well as keeping the notoriously high levels of alcohol in check. The wines are still not exactly shrinking violets, but the change has brought forth a new style, with a seductive fragrance, and wonderful pure dark fruits. While the older style was essentially limited to partnering robust food such as grilled steak, the more modern Malbec is far more adaptable, while still providing a great match to barbequed beef. Argentina has always been famous for its high-altitude vineyards. It can no longer boast it has the highest vines in the world – according to the Guinness Book of Records, that honour now belongs to Nepal, which has a vineyard at 3,500m above sea level. However, it does have the highest concentration of commercial high-altitude vineyards. Grapes grown at high altitudes benefit from greater radiation and increased photosynthesis. Combined with cold nighttime temperatures that ensure good acidity, this produces wines with a wonderful depth of fresh pure fruit. Bodegas Colomé in Salta owns some of the highest vineyards, at more than 3,000m above sea level. They also have vines dating back to 1831 in their remote estate, a three-hour bumpy drive along dirt tracks. The Amalaya listed below is produced from grapes grown at 1,800m. Meanwhile, the team behind Altos Las Hormigas are planting vines in new high-altitude sites with unique soil profiles. They are now also producing wine in Cahors in southwest France.This is the original home of Malbec, where it was once part of the Bordeaux blend of grapes. In the past produce from Cahors, where Malbec is known as Cot, could be very earthy and tannic, but these days there are some excellent wines. From independents, look out for wines from excellent biodynamic producer Fabien Jouves, or from the more traditional, but equally good, Clos des Gamots. As well as the Le Croizillon below, O’Briens have the Osmin Malbec (€13.95) and a very moreish organic Silice (€18.95). There is no shortage of inexpensive Malbec from Argentina, including the Exquisite Argentinian Malbec from Aldi (€7.99), the Alamos Malbec (€15) and the ever reliable Pascual Toso Malbec. Soft and supple with delicious, refreshing loganberry and raspberry fruits, rounded off with a touch of spice. To go with empanadas, kebabs or grilled lamb chops. Stockists: Baggot Street Wines, baggotstreetwines.com; wineonline.ie; The Cinnamon Cottage, Cork, cinnamoncottage.ie; The Corkscrew, Chatham Street, thecorkscrew.ie. Enchanting aromas of violets and dark fruits. This explodes in the mouth with intense, perfectly ripe dark fruits, balanced by excellent acidity and structured tannins. Keep a few years or serve now with grilled beef or lamb. Stockists: wineonline.ie; The Cinnamon Cottage, Cork, cinnamoncottage.ie; The Corkscrew, Chatham Street, thecorkscrew.ie; Donnybrook Fair, donnybrookfair.ie. First published in The Irish Times, Saturday March 23rd, 2019. This week, a look at four Irish gins, two very new and two more established. Graham Norton’s Own wines, from Italy, New Zealand and Australia, have been hugely successful in Ireland. Now the team have come together to produce a gin distilled in west Cork. Flavoured with 12 botanicals, including fuchsia, rosehip and gooseberries, Graham Norton’s Own Irish Gin seems destined for the same commercial success. The shop assistant at Dublin Airport told me that Drumshanbo Gunpowder Irish Gin outsold all of its rivals put together. It may be the distinctive blue bottle or the unique flavours, which include gunpowder tea, but it seems to be one of the success stories of the Irish spirit revival. Founded by the veteran drinks entrepreneur Pat Rigney, Drumshanbo last year sold more than 100,000 cases, with a turnover of €7 million. In November Rigney will launch two pot-still whiskies; next year he plans to open a visitor centre at the distillery in Co Leitrim. As well as making Cork Dry Gin, Irish Distillers was a pioneer of small-batch gin, releasing Crimson in 2005; it was very good but ahead of its time. Now it has returned with Method & Madness, the first gin to use gorse flowers, alongside black lemon and a range of spices. It was distilled in Ireland’s oldest gin still, Mickey’s Belly (named after a man who worked in the distillery), which now resides in the microdistillery at Midleton, in Co Cork. Regular readers will know that Blackwater No 5 is one of my favourite gins. The distillery that makes it also makes Boyle’s Irish Botanical Gin for Aldi. The company was set up by Peter Mulryan, a veteran drinks journalist, writer and TV and radio producer. Its new, truly artisan distillery, in a converted hardware store in the picturesque village of Ballyduff, Co Waterford, will open to the public from April onwards, with luck to coincide with Waterford Festival of Food, at the end of the month. The first trial whiskeys have been distilled (and look fascinating) but need a few years’ ageing before being bottled. Made by Blackwater for Aldi, this is a delicious gin, with subtle fruits and refreshing citrus on a firm base of spice and juniper. Amazing value for money. A very nicely balanced smooth gin with plenty of juniper, backed up with musky spicy coriander and a unique fresh herbal note. Aromas of juniper and light spices, with classic flavours of pine resin and earthy spice on the palate, finishing with bright floral notes. Lemon zest and subtle floral notes on the nose, lightly spicy with clean refreshing orange and lemon citrus on the palate. 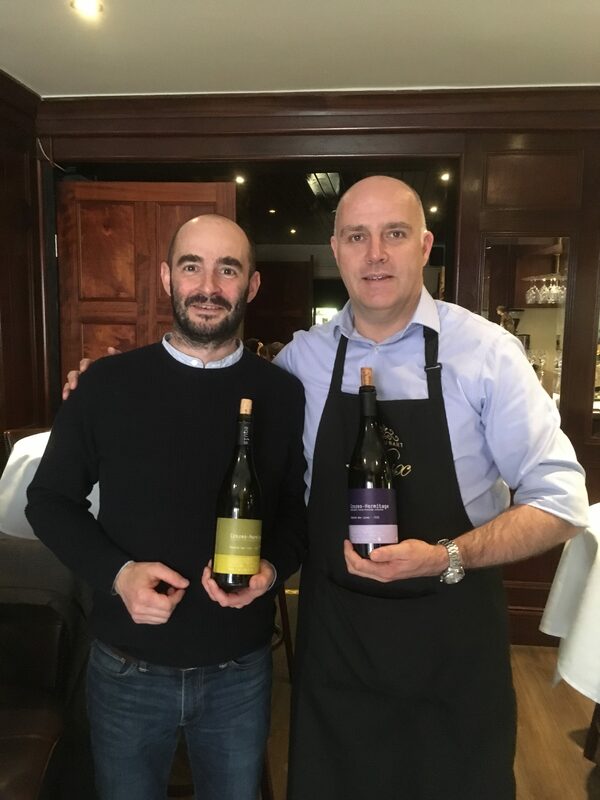 Thomas Schmittel of Domaine des Lises (pictured above with Olivier Meisonnave of Dax restaurant) was being shown around town today with his importer Charles Derain of Nomad Wines. The two were armed with four bottles of wine, all of them enchanting. Domaine des Lises is owned by Maxime Graillot, who also owns the famous eponymous estate in Crozes Hermitage. Lises has been run organically for fifteen years, and is now in conversion for full certification. The wines here are generally bottled with 50 gl total sulphur, 25gl free SO2. Thomas has been experimenting with sulphur-free wine – which tastes very different he says. He also has a small parcel of ungrafted vines which he has made into a separate cuvée. “Our picnic wine”, says Thomas, of this wine, made from bought-in grapes from a single vineyard. A light refreshing supple wine with exuberant savoury dark cherry fruits and a tannin-free finish. I would serve this cool, with all sorts of charcuterie and salads. 100% de-stemmed, a six day maceration followed by pressing and fermentation in concrete and then months in four thousand litre oak casks. €24 from SIYPS.com, Ely 64wine, Glasthule and Green Man Wines, Terenure. From a warm vintage, this is a structured rich wine, with meaty dark fruits, and plenty of tannic grip. It still has a certain elegance, but ideally you would keep this a few years. Thomas said this wine is always made the same way, allowing the vintage to shine through. 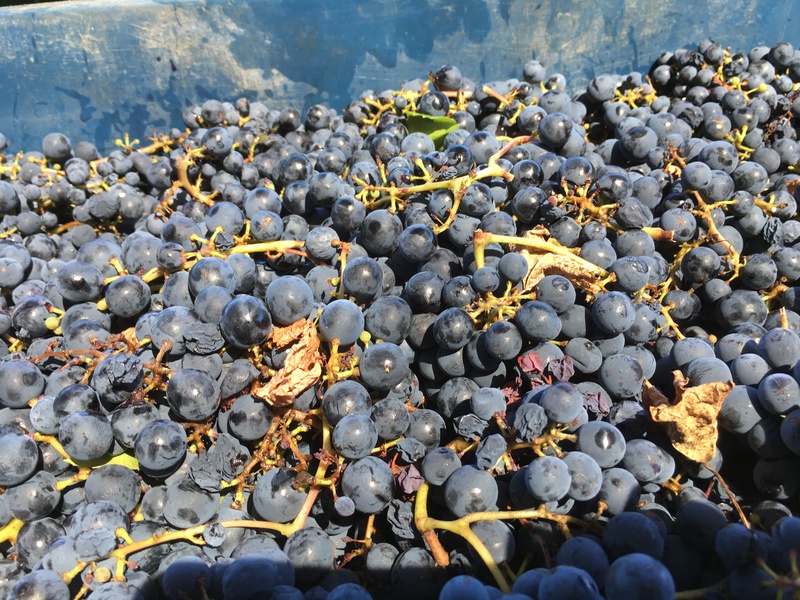 30% whole-bunch, a twenty day maceration in concrete with punching down during fermentation. Aged for ten months in barrel and demi-muid, including malolactic fermentation. €34 from SIYPS.com, Ely 64wine, Glasthule and Green Man Wines, Terenure. From a more classic vintage, this is a superb wine, classic Syrah, with pure violet aromas and elegant silky fresh dark fruits and liquorice on the palate. There is a touch of new oak, but it is very subtle. From some unique clay soils in Crozes, this is a delicious rich textured wine with mouth-watering peaches and nectarines and the slightest hint of spice. A very impressive moreish wine. 70% Marsanne 30% Roussanne. Tiring of Sauvignon? Bored with Pinot Grigio? Today a few alternatives from one of the less celebrated regions of France. It took a seminar from importers Tindal & Co with Stephane Montez of Domaine de Monteillet to remind me how much I liked these wines. I am a big fan of both red and white wines of the northern Rhône. They rarely have the power or richness of their southern counterparts, but they make up for this with a delicious freshness, purity of fruit and elegance. Two relatively unknown grapes, Marsanne and Roussanne, are responsible for some very good white wines that should be right up our street. They are typically crisp and dry, low in alcohol and free of oak influence. Yet, talking to importers and retailers, these wines are not an easy sell; several of the larger producers in the region offer these wines, often at very attractive prices, but they are not available in this country, O’Briens being an honourable exception. Marsanne is said to be the more neutral of the two, with good acidity and clean melon fruits. It is usually blended with Roussanne, which is richer and more aromatic. I appreciate that €30-€40 for a bottle is hardly bargain basement, but compared with top-quality Chardonnay from either Burgundy or the New World, or the great Rieslings from Germany, they represent very good value for money. What’s more, not only do they drink well from the start, but they have an uncanny ability to age for five or more years. I have been buying and stashing away the odd bottle or two over the past few years and now have a modest collection that is providing me with a lots of pleasure. Searsons has a treasure-trove of northern whites, including the excellent Yann Chave Crozes-Hermitage (€27.95), the Jolivet St. Joseph (€42) and Les Hautes de Monteillet (€24.95). JN Wine has the Coursodon St Joseph Les Silices (€35.95), and various independents stock the Yves Cuilleron Marsanne (€19.95). Outside of the Rhône, you will find the odd planting of Marsanne and/or Roussanne. You will find both in the Savoie, including some spectacularly good Roussanne. The most famous outpost outside of the region is on the other side of the globe in Victoria, Australia, where Tahbilk has the largest planting of Marsanne in the world. It is ridiculously cheap, drinks well young and ages for ever, taking on amazing honey and nut flavours. Being light- to medium-bodied, these are food-friendly wines, perfect to eat alongside most fish dishes and chicken too. As they are low in alcohol, you can happily sip them on their own. My favourite matches are probably crab with home-made mayo or a creamy pasta dish. Light refreshing with delicate mellow peach fruits a spicy, herby, edge, good cleansing acidity and a very attractive soft finish. Hake fried in butter with fresh herbs and lemon. Graillot red and white wines are superb, with an ability to improve with age. This is a delightful wine, with subtle plump peaches and apricots, given verve by some tangy lemon zest. Drink solo or with lighter fish and white meats – crab salad or mild herby Thai chicken? His Les Hautes du Montillet (€24.95) is very good, but this is superb; fresh and intensely floral with lightly textured plump rounded stone fruits, subtle nuts and a long finish. With prawns, scallops or fried brill. A wonderful wine and a steal at this price. Zesty lemon, apples, and stone fruits with a touch of honey. Drink now or keep 10 years plus. With a spicy pork and pepper stir fry.